Last year, the U.S. Department Of Agriculture school lunch program provided low-cost or free lunches to an estimated 30 million children in public schools. Those schools were adhering to Obama-era nutritional guidelines, which required whole-grain foods and only non-fat flavored milk. 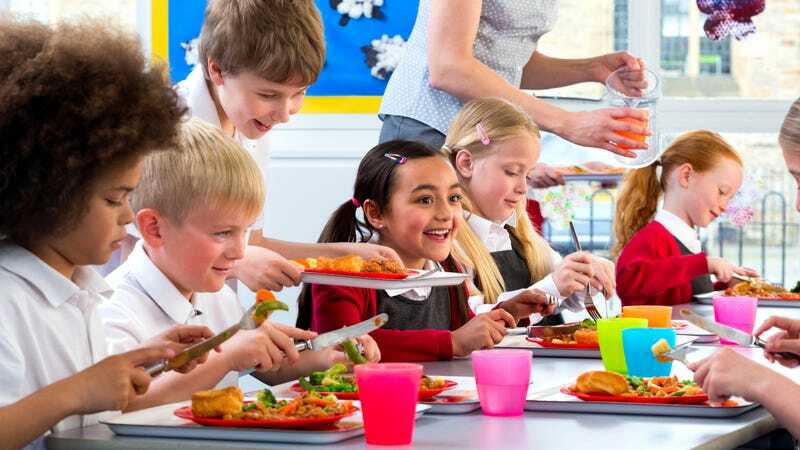 Now the Trump administration “is scaling back contested school lunch standards implemented under the Obama administration including one that required only whole grains be served,” according to the Associated Press. Yesterday the USDA announced that “only half the grains served will need to be whole grains.” Low-fat chocolate milk is also back on the menu. The whole-grain requirement was apparently proving to be a problem for biscuits in the South, for example, and tortillas in the Southwest, reflecting the challenges adapting these rules to certain regional preferences. Children sometimes left the whole-grain version of these foods uneaten, stated Brandon Lipps, deputy undersecretary for the USDA’s food and nutrition division. Wait, kids can order UberEats for school lunch?